The grandchildren are in the house, and bad weather is keeping them there. You need something fun to get them moving. Try a classic treasure hunt, sometimes called a scavenger hunt. Create (or print out) clues. Distribute them so that one clue leads to another. Place some "treasure"—a toy or treat—at the final destination. Hand the first clue to a grandchild, and get out of the way! You may have to set some rules ahead of time, such as no running. If more than one grandchild is on hand, let them take turns reading the clues. Make your treasure hunt a workout for the brain with clues that require some thinking. Rhyming clues have built-in kid appeal. A version for preschoolers can be created with pictures that you draw or print out from the computer. Here is a list of clues about ordinary indoor objects. Copy and print these to save time. You'll find the answers at the end. You may also use these clues as inspiration for your own list. Since your home may have more than one of some of these objects, the grandchildren may have to check out more than one location before they find the next clue. That makes the game last longer, gives them more exercise, and adds to the fun. I have four legs, but I don't have feet. I come in handy when it's time to eat. Which I do with music, a buzz, or a beep. For fast heating or cooking, I am tops. And, oh, that good smell when my popcorn pops! I'm packed really full of boxes and cans. I may hold a broom or a mop or a dustpan. I keep these handy but hard to see. But first type your password in on my screen. I'm loaded and unloaded, but I'm not a truck. Having a helper like me is a great piece of luck. I rain on you when you need a scrub. I'm very much like my friend the tub. I make it possible to have fresh food. Everyone agrees I'm one cool dude. Watching your favorites is lots of fun. But don't watch too much! Kids need to run. I never get angry but I do get hot. I'm the perfect place for a pan or a pot. Which I do while making a bit of a rumble. I have a round knob and also a lock. Visitors and salesmen may give me a knock. I'm one part chair and one part bed. Up with your feet and down with your head. I take your clothes for quite a spin. But first, they get wet. That's how I begin. I'm filled with feathers or other soft fluff. To sleep without me can be quite tough. Turn me on and I'll give you a light. I'm used some in the daytime but mostly at night. But a book still needs a place to stay. I have drawers and also a nice flat top. For homework I'm helpful -- Keep working. Don't stop! I'm hungry! I'm hungry! Please feed me a slice. I'll spit it back out all brown and nice. I'm not a selfie, but I do show faces. Find me in bathrooms and a few other places. And at other times when they need a break. Most every day, you step on me. All I require is a bend of your knee. I go round and round and get really hot. In larger families, I'm used quite a lot. I'm paper, but I'm not used for writing a letter. The spot by your potty suits me much better! I have hands but no arms and also a face. And my hands always move at the same steady pace. I may have eyes but I really can't see. People love to make fries out of me. The more I dry, the wetter I get. A little one can be used for soaking up sweat. I hold all the words you need to know. Use me to make your vocabulary grow. I'm never wicked, but I do have a wick. I come in all sizes, from skinny to thick. When the weather is nice, treat the grandkids to an outdoor treasure hunt. 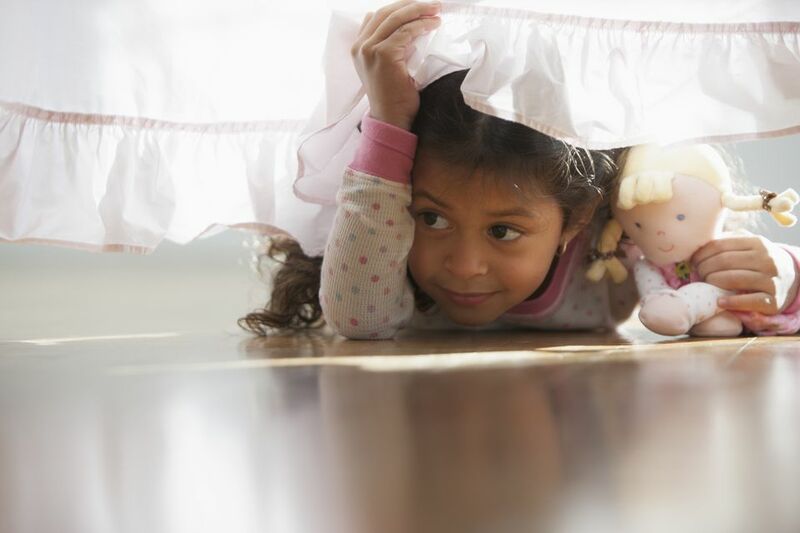 You can create another type of treasure hunt by taking pictures of odd nooks and crannies in your home. Print out the pictures and place them as you would any other clues. If your grandchildren are old enough to have phones with cameras, it's easy to set up a photo scavenger hunt. Make a list of things they might see in a particular location, and give them a set period of time to take photographs of as many as they can. They can work in a group, in teams or on their own, if they are old enough. You can do this in your own home or in a park or other safe area. You don't want them to do this in a place where they'll need to watch for traffic. Also, it's best not to put people on your list as it can be an invasion of privacy to photograph others without their permission. To make the hunt more challenging, assign each item a point value based on how difficult it will be to find. Tween grandchildren seem to especially enjoy these types of hunts.